For many homeowners (or soon to be homeowners), moving can be accompanied by mixed emotions. On the one hand, you’re excited to be moving to a new home, starting a new job, and exploring a new area. However, on the other hand, you know there’s a lot you’re going to have to deal with before you get to that point. For starters, you’re going to have to make sure everything is organized and ready to go by the time moving day comes. Anything that isn’t packed properly could be damaged during the move and if you load it in the truck incorrectly, it will make unloading a huge pain. And even after all this, you’re going to need to get everything in your new home, just the way you like it, which could take weeks or months. 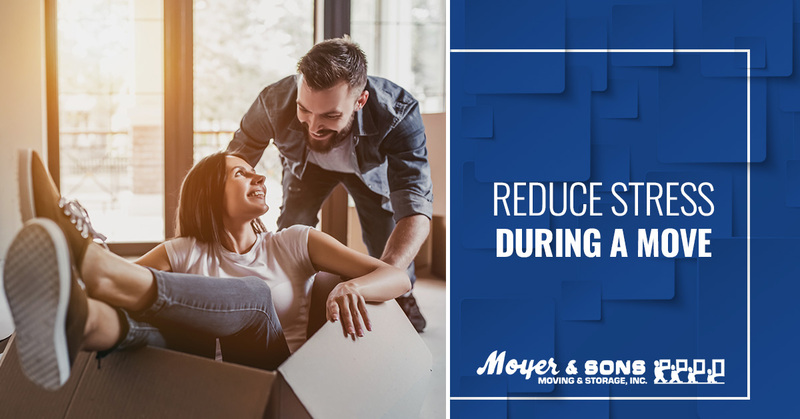 In this blog, we’re going to take a look at some of the best ways to reduce stress and limit the burden on yourself and your family during a move. Getting rid of old, unused belongings within your home is something you should constantly be doing. But if this isn’t something you keep up with regularly, you’re going to have to do the best you can before move out day. For starters, you should determine whether you need to get these items off your hands immediately, or if it can wait until you’re moving out. If it can wait, you’ll need to call your local waste disposal company and order a roll off dumpster for the day you move out. This way you’ll be able to get rid of junk and pack your belongings in the moving truck all at once. If you choose to do it this way, you’re going to need to make sure you have a storage area to keep these things. If not, it could just add more stress if you have to work around it. The biggest culprit of stress is procrastination. This applies to just about everything in life, especially moving. If someone else is moving into your new apartment or home, you probably have a very strict move out date. As a result, you’re going to need to start scheduling your move out day as soon as possible. Even if you’re weeks or months away from this date, you should start thinking about what you’ll need. Will you need packing materials to protect fragile belongings? Will you need to have a roll-off dumpster to get rid of junk? Have you started calculating moving costs? It may be difficult to get yourself to do these things months in advance, but it will save you a lot of stress once move out day comes. Whether you live alone or with your family, it never hurts to have an extra pair of hands on the job. Even more so, if you’ve already planned out a job for everyone to handle, you’ll reduce the stress load even more. For example, one person could be in charge of inventory, making sure everything makes it into the truck safe and secure while others work on packing and loading. There’s nothing like having a good friend around to reduce the stress of a move, just make sure that once it’s all said and done you take them out for coffee or a nice meal! Moyer & Sons would like to be your friends in the moving business. With over three generations of experience serving the Clarksburg, Maryland community with quality packing, moving, and storage solutions, we know what it takes to make a move as worry-free and quick as possible while still keeping your belongings safe and secure. Best of all, we don’t just do local moves, we’re equipped to move anywhere in the nation! We’re proud to announce our new location in Elkridge, allowing us to better serve the Baltimore Metro Area and provide each and every customer with the superior services they expect from us. We offer a full range of services from packing and loading to long-term storage and long-distance moving and delivery. Give us a call today for more information or to schedule your move.